2019 has been added up to start of October 2019. Here is a link. This Friday, 26th April at 19:30 Tasmin plays in COVENTRY. This Saturday, 27th April at 19:30 Tasmin plays in LEEDS. Next Sunday, 28th April at 19:30 Tasmin plays in YEOVIL. A new category was added to the Awards this year: the BBC Music Magazine Personality of the Year. 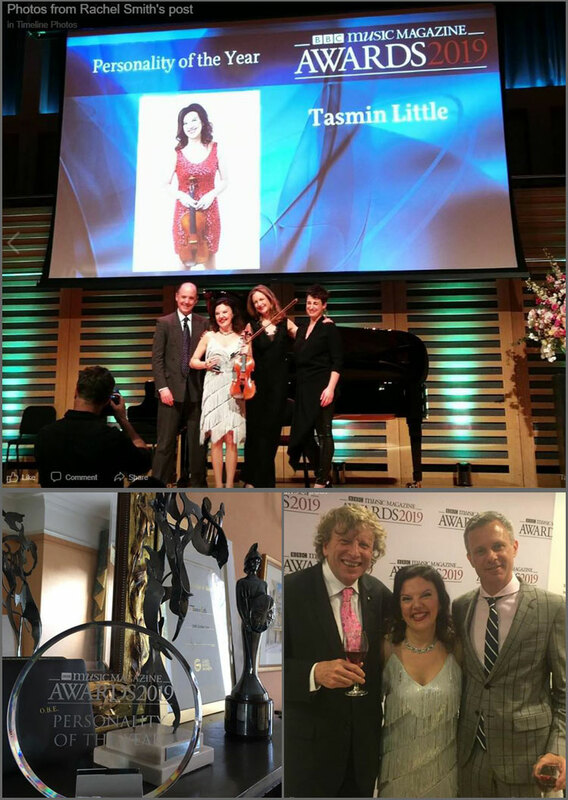 This was awarded to violinist Tasmin Little for her contribution to classical music over the course of her career. We have seen some photos on different posts. 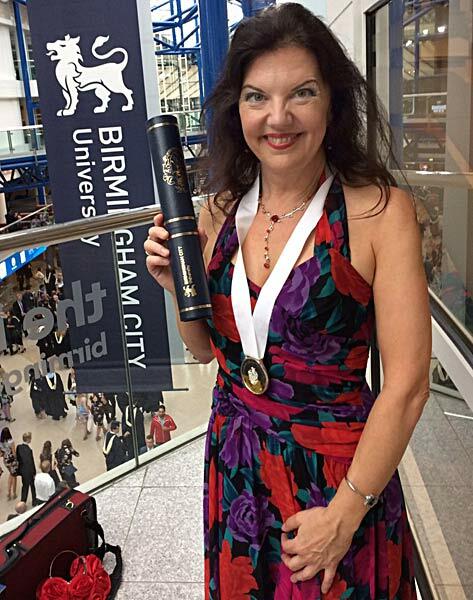 The 1st is a photo of the Award being presented to Tasmin at Kings Place. Piers Lane and a friend at the "post-event" party at Kings Place. 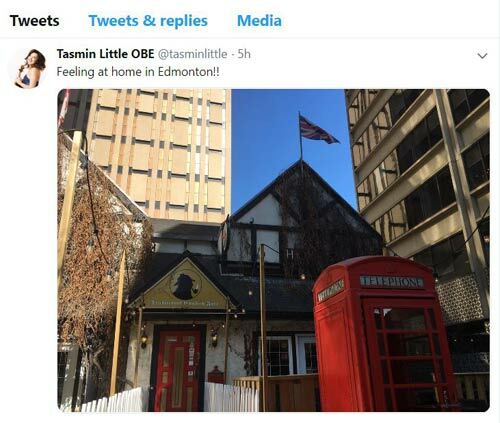 On Saturday, 23rd March, Tasmin played in Edmonton, Canada. 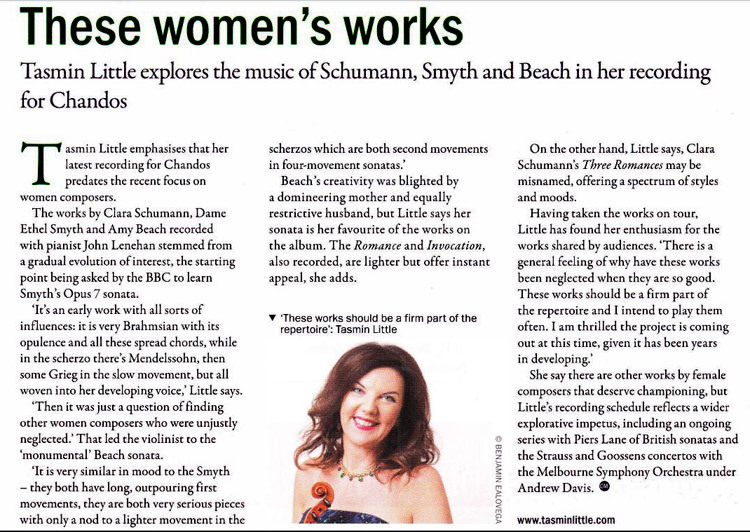 this week in Gramophone Magazine. In Tuesday's TELEGRAPH, Michael White had a blog entry titled "Extended Intervals". Tasmin thought it "adorable" ... :-) "What we need is a second referendum to persuade this leaver to remain ..."
Read it here by clicking the logo. Enjoy! read it here (click logo) if you have a digital subscription to The Sunday Times. Here is a copy of the interview text. Weston Hall, University of West London, St Mary's Road, Ealing, London W5 5RF last Thursday, 14th February. 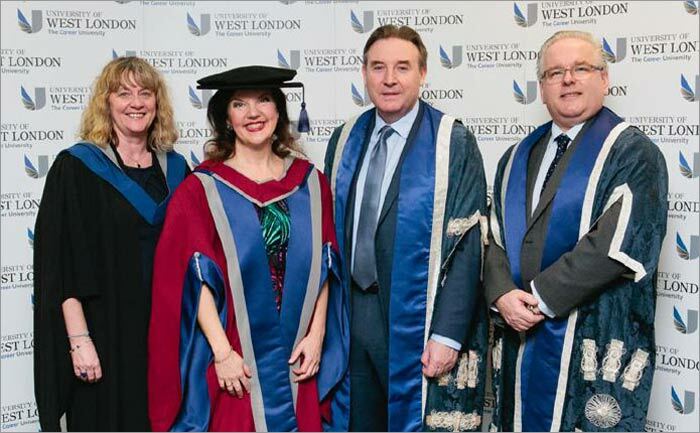 Tasmin also received her 4th Honorary Doctorate (photo below) from the University of West London that night. 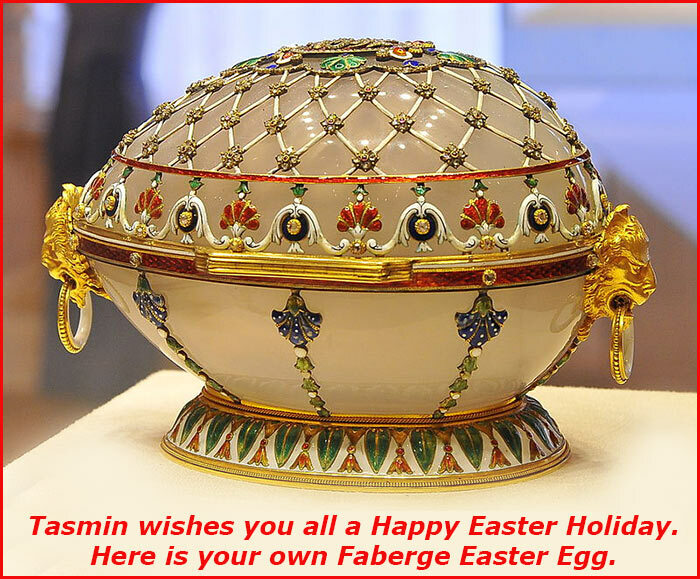 in appreciation of Tasmin's work over the years on her widely read blog. Click on Thumbnail Logo left. After combing through countless releases each week, our editors select their favorites for The A-List: Classical—the best new recordings from across the genre. 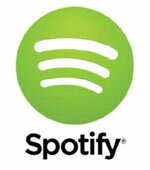 This playlist is updated regularly, so if you like a track, add it to your library. For a CHANDOS video clip from the recording session. A first review has come in from THE ARTS FUSE. Please click the logo. A review has come in from Classical Source. Click logo to read it. 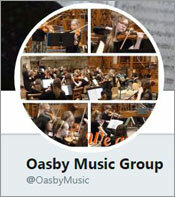 Tasmin had a fabulous day last Sunday at the Workshop for Oasby Music Group Ensembles. Many’s the time – in these very pages – I’ve wished musicians would speak to us more about what they’re playing. 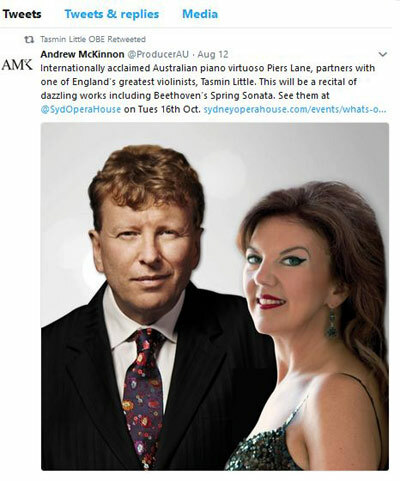 Well, three cheers for violinist Tasmin Little, whose appearance at the New Vic in Hartshill was more of “an evening with” than a “concert featuring.” There were even questions and answers from the audience. Mind you, I write as a huge fan. I have her recording of the Elgar violin concerto. I don’t play it, though. It just leaves me in bits. 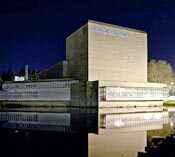 This was the first concert in the new season of Concerts at Keele, but it was held at the New Vic under some sort of Arts Council code sharing arrangement. It did mean that the violin sounded fabulous in the wonderful acoustic of that theatre in the round, but as always, some of the artist’s comments were lost as she turned towards other parts of the audience. 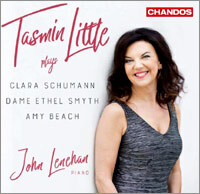 Nevertheless, Tasmin Little was very switched on to the sound she was making – as a performer must be – and she was adept at turning to make sure the whole room was covered. And so we learnt, for instance, about things like bariolage and tremolando, both of which featured in her transcription of Albeniz’s Leyenda – better known as a guitar piece, but sounding remarkably authentic on the violin, thanks to these sorts of tricks. 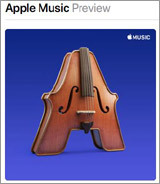 We found out that the bow is almost as important as the violin. She came on with two – one to play the Albeniz, strong enough to put up with what can only be described as bow abuse, and a second to produce the lovely sound she makes normally. We learnt that she used to practice for eight hours a day in her twenties, but is now down as low as four. That’s what it takes to become a great performer. She played one of the most difficult works in the repertory, Ysaye’s third sonata, Ballade. And she had the cheek to tell us it was so difficult she was expecting a cheer and whooping when it was over. No problem, actually. I was less enthusiastic about Hora Bessarabia, a two-year-old work by her friend Roxanna Panufnik, based, according to the composer, on Romanian gypsy music with Bulgarian gypsy rhythm. It calls on the performer to stamp her feet in true gypsy fashion. Hmmm. Call me old-fashioned. Others do. She played some of the best-known Bach works either side of the interval – the Chaconne from the D minor Partita and the Loure, Gavotte and Gigue from the E major. She was playing the Loure and Gavotte near the Victoria Falls when she realised the audience was looking past her. She turned and found herself facing a hippopotamus which had emerged from the river and was listening intently to the Bach. She completed the work, and the animal duly submerged. about Vivaldi's Four Seasons. The violinist's view about "Winter"
has been written by Tasmin. You may read this here. 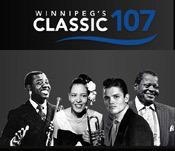 in Winnipeg, Canada - 9th & 10th November 2018. 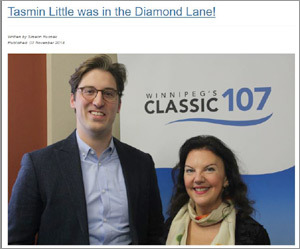 Tasmin Little was in the Diamond Lane! 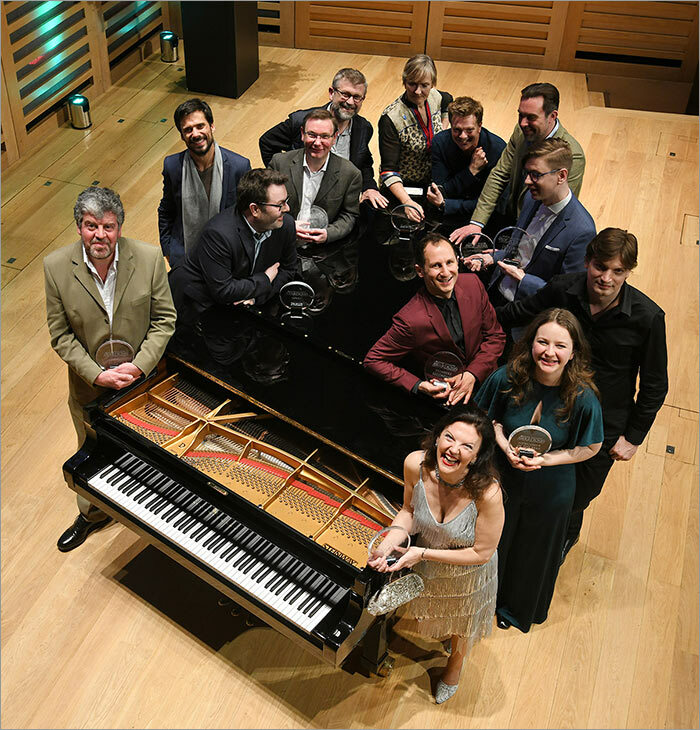 Wigmore Hall has just opened on-line booking for this recital to everyone. The concert is filling up nicely. If you wish to go, we suggest that you book soon, not to be disappointed. 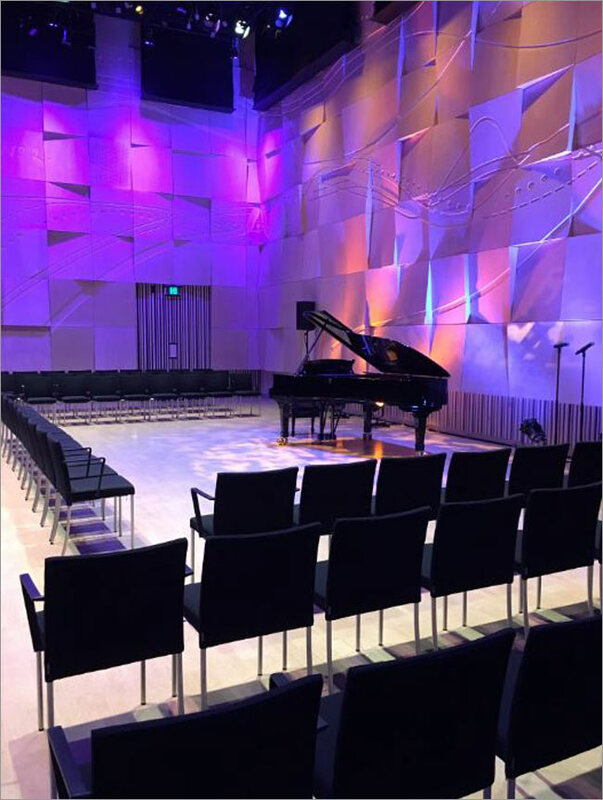 "Loved giving Master Classes in this stunning Hall"
on the 16th in Sydney. Kangaroo Valley, & Sydney, NSW, Adelaide, South Australia, & Melbourne, Victoria with pianist Piers Lane. To check dates & venues, please go to the concerts page. listeners per month were listening to her works on SPOTIFY. 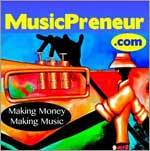 BBC Music Mag selected "The Lark Ascending" for their Breakfast Promelette. 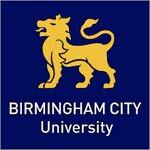 Click Link Logo. 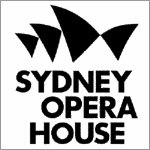 to the concerts schedule) by Tasmin and pianist Piers Lane in the Utzon Room at Sydney Opera House. Click on the photo below to get more information from Sydney. 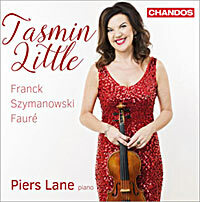 Last week Tasmin was interviewed on BBC Radio 4. 9:00 am broadcast. Tasmin talked about "Clapping in Classical Music". Tasmin's Southbank Show video on YOUTUBE. Two weeks ago, YOUTUBE added a 15 minute video with a shortened version of the Southbank show. View it on Tasmin's Video Page by clicking the thumbnail on the left. 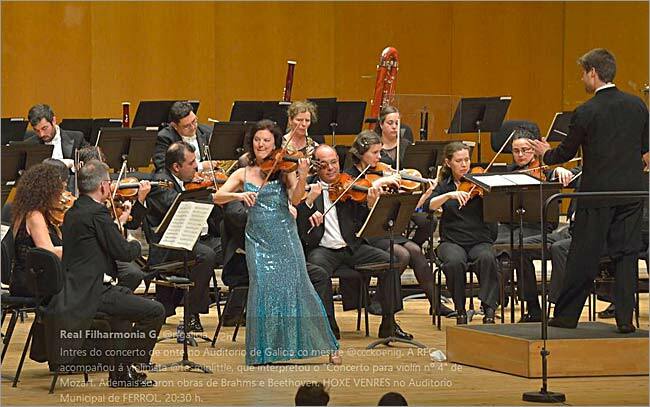 A photo of Tasmin playing Mozart at the Auditorio de Galicia in Santiago de Compostela, Spain. have released BRAHMS - The Three Violin Sonatas by Tasmin Little with pianist Piers Lane 2018. 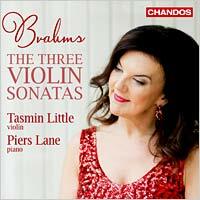 Meanwhile, please click the Chandos Logo to listen to samples from this forthcoming CD. 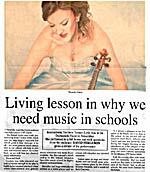 The new issue of BBC Music Magazine carries an interview by Amanda Holloway with Tasmin. 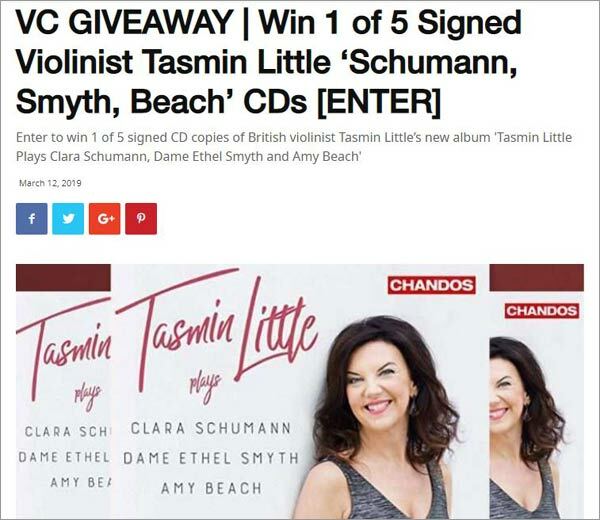 "Music that changed me" Tasmin Little violinist. Read a PDF of this, by clicking the Music Magazine logo. "The violinist's view, by Tasmin Little." 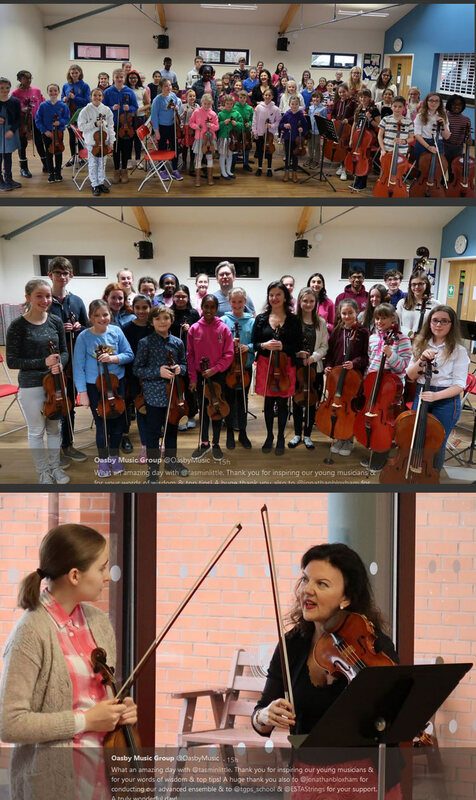 Tasmin has just added two short videos to YOUTUBE. 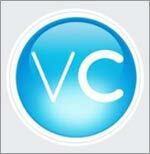 We have added them to Tasmin's Home page. Please view them by pressing the thumbnail on the left. 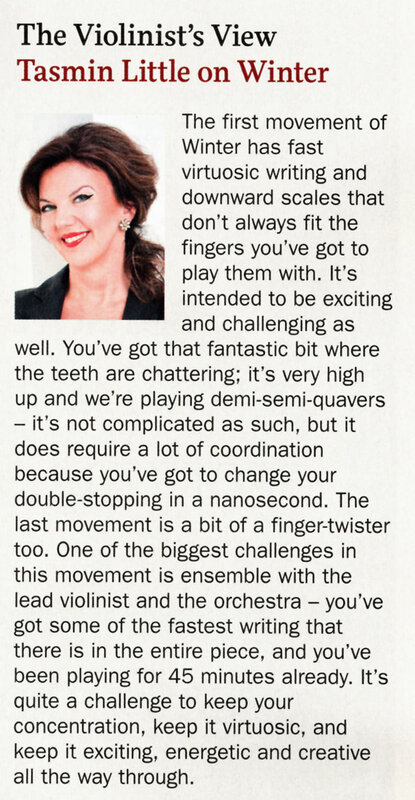 On November 2 Limelight published an interview with Tasmin. Click the image (left) to read a PDF of this. Tasmin Little’s performance of Szymanowski’s ‘Violin Concerto No. 2’, which was recorded on 11/08/2017 in the Ulster Hall, Belfast will be broadcast on Radio 3 after 14:00 on Tuesday, 31st October, 2017. There are a good number of fine reviews available now for this CD release. CLICK HERE. 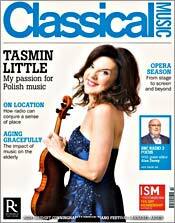 The October issue of CLASSICAL MUSIC magazine features an article by Amanda Holloway about Tasmin's Szymanowski recording, her love for lesser known repertoire - and why she continues to challenge herself. 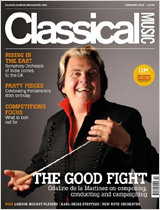 You may buy a digital edition or paper edition of CLASSICAL MUSIC from this link. 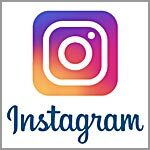 Tasmin has today added an Instagram account. View it by clicking the logo. 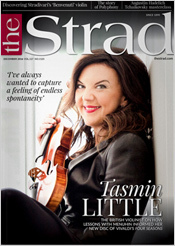 Music Preneur interviewed Tasmin today about the Naked Violin project. A lengthy, but interesting interview. 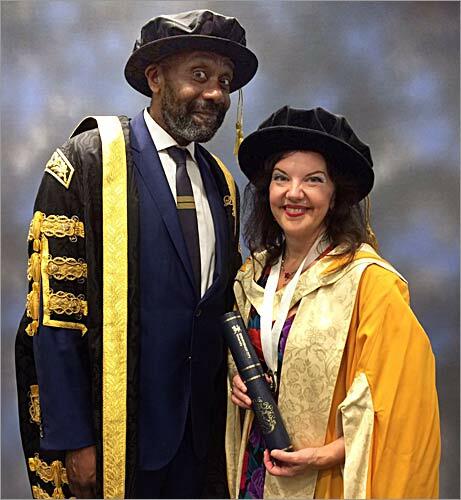 Sir Lenny Henry, Chancellor of Birmingham City University, with Tasmin, yesterday. Programme: Inside Science, talking about instruments. NOW on I-player, please click LOGO! 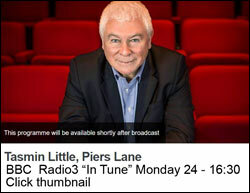 listening on BBC iPlayer for 30 days following the broadcast. 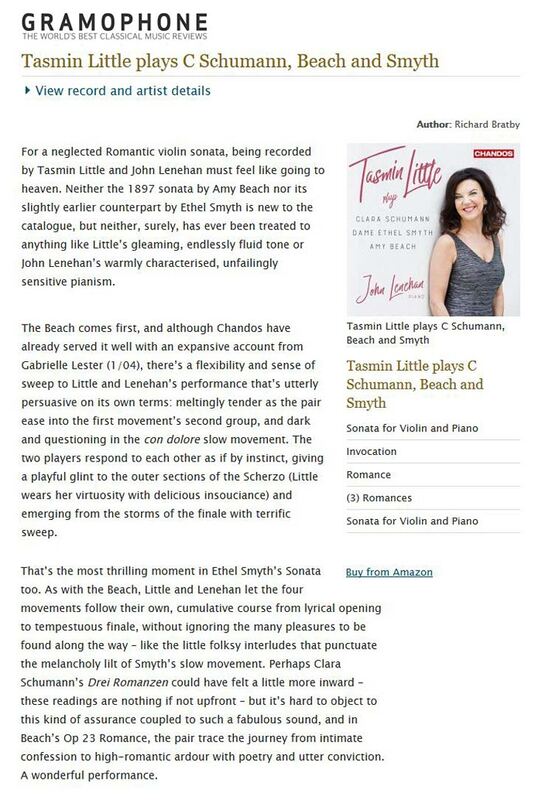 - Frank and Szymanowski - are being played on "In Tune"
The Observer review, which came out today, talks about them. 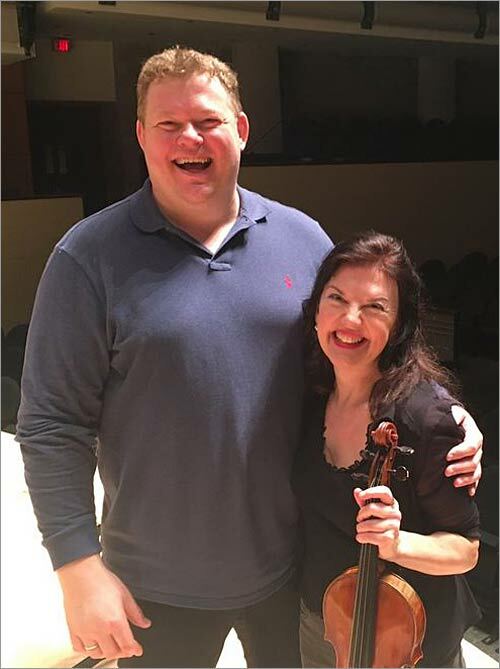 Tasmin Little is now something of a veteran of the concert hall, but in Szymanowski’s demanding Second Violin Concerto she proved once again that her skill and artistry stand up well to that of the numerous young violinists who continue to arrive on the scene. She gave an exemplary reading of this work, one that was ardent, intense and highly expressive, and which typicall en sense of communication with her audience. Gardner and the orchestra gave her ideally strong support. Poland was presented in a more positive light via Karol Szymanowski's Second Violin Concerto, given passionate advocacy by Tasmin Little. It's a far cry from the perfumed, intoxicating language of his earlier concerto, being earthier and almost Bartókian in its driving folk rhythms. Little gave a muscular performance, especially of the cadenza by Paweł Kochański, the concerto's recipient. Fierce double-stopping was matched by lyrical interludes of great tenderness. 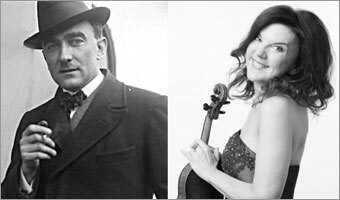 "Szymanowski’s second Violin Concerto, its deep, dark pools of sound beautifully transparent, the narrative well paced by Gardner and the soloist Tasmin Little. In the dizzying cadenza and the long paragraphs of melody and variations on either side, Little’s execution was flawless, her tone pure and penetrating." 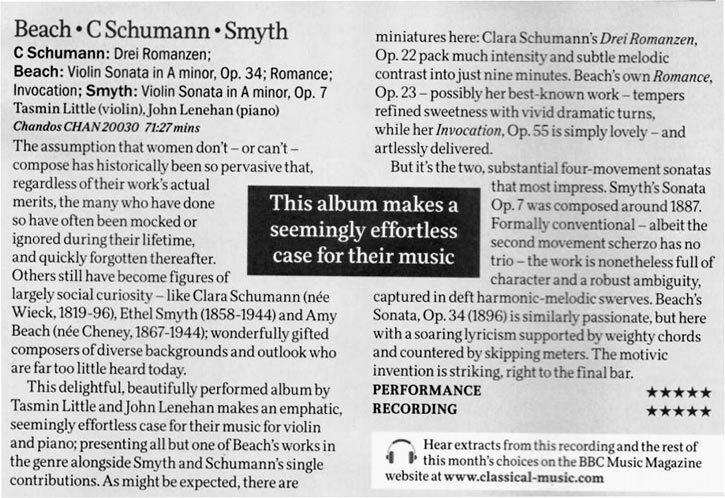 Please click the Gramophone Logo to read the complete review. 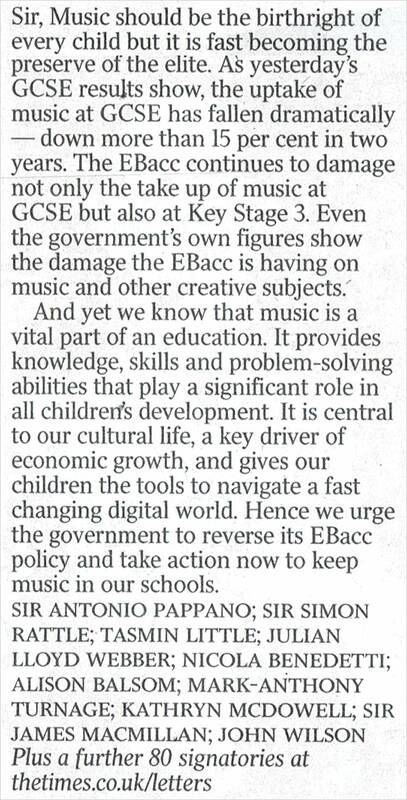 Living Lesson in why we need music in schools. 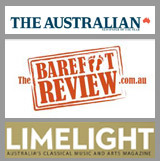 have resulted in some lovely reviews, in the Australian, Barefeet Review and Limelight. Go to the Reviews Page to read them. CHANDOS have just released two video clips of these two recordings, view them here. Tasmin talks about Vivaldi "Four Seasons"
We have updated Tasmin's Concerts page to December 2016 now. from August 16th about this years's AFCM in Townsville. Read it here, by clicking the logo. 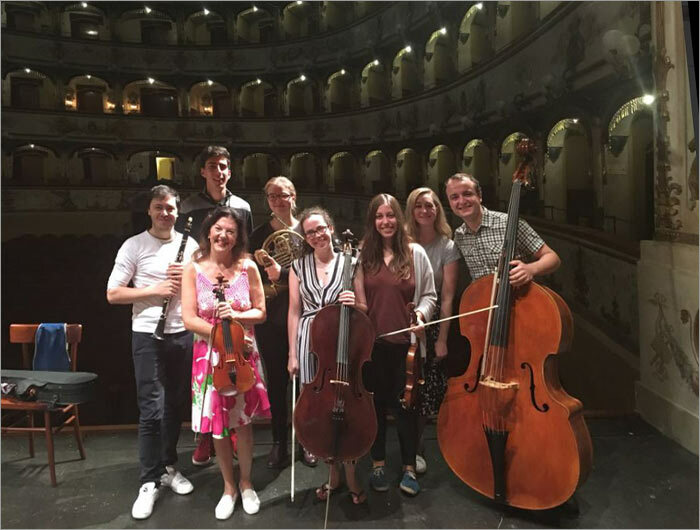 Tasmin Little talks about chicken dinners at the Menuhin school, upcoming performances in Australia and intense collaborations with Piers Lane. Please click the LIMELIGHT logo to read the feature published by Australia's Music Magazine on July 20th. 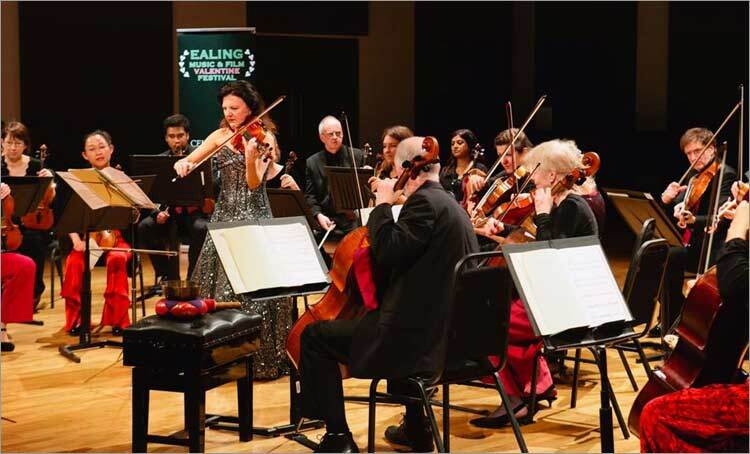 The Violin Channel recently caught up with English concert violinist, Tasmin Little – jury member at the 2016 Menuhin Competition. We sat her down for a game of ‘VC 20 Questions’ – to help gain some fun insight into the lady behind the laugh. NOW ON LISTEN AGAIN, please CLICK LOGO. 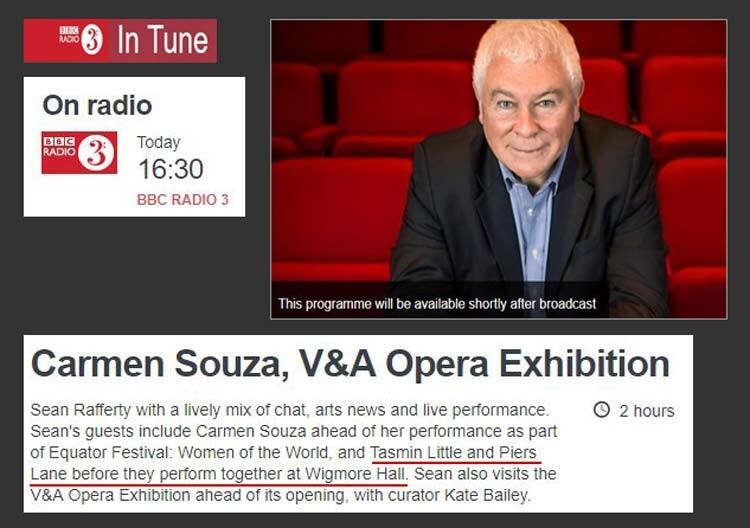 Tasmin will be interviewed live on BBC R4 “Woman’s Hour” on Monday 9 May at 10am (or thereabouts). This is to do with keeping diaries. WEBSITE, when they take place. Opening Concert - Menuhin Competition 2016 at the Royal Festival Hall yesterday.